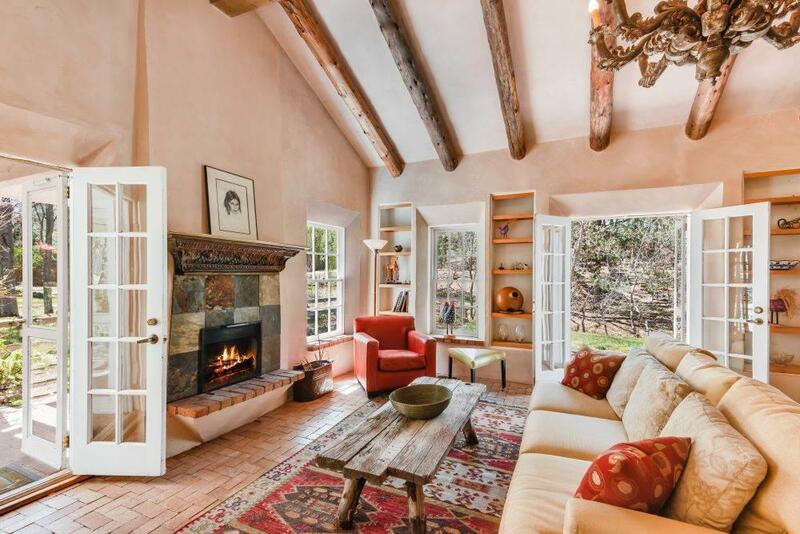 In an idyllic lush setting along the Little Tesuque Creek, this classic Betty Stewart pitched roof Northern New Mexico gem will delight. Sets of French doors seamlessly blend the indoor spaces with the magnificent gardens and meadows that surround the patios and portals. The park-like setting includes a serene pond, which provides a relaxing place to sit and enjoy the surrounding mature trees, including several fruit trees, and the birds songs with an occasional deer munching by the creek. 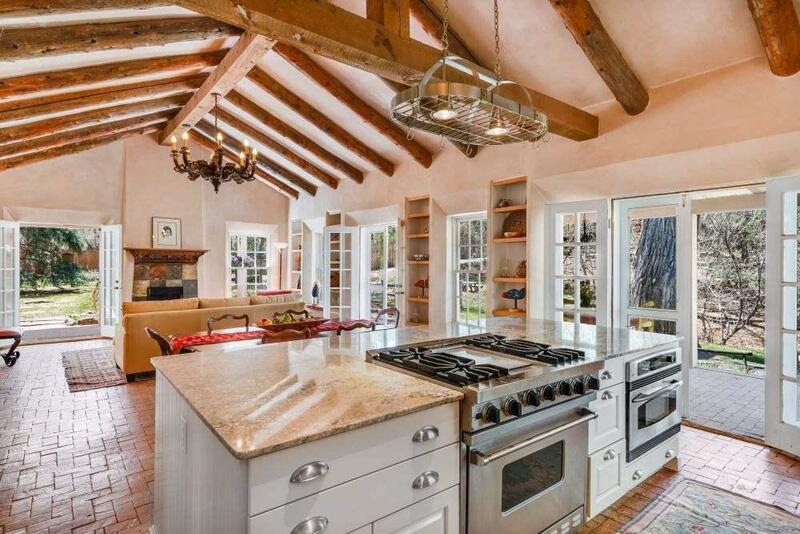 The pitched roof great room has an inviting fireplace at one end and a delightful re-imagined kitchen by Jeann' at the other end. 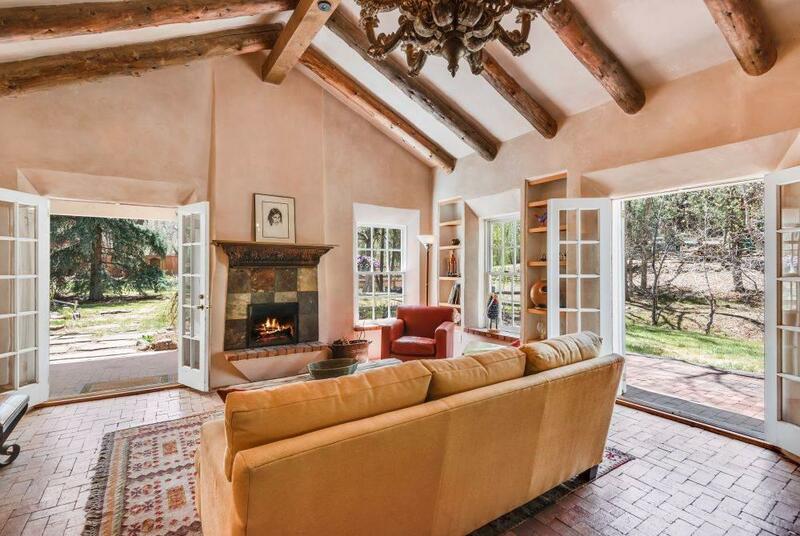 The vigas, beams, plaster walls and traditional brick floors create a casually elegant space to gather. Two en suite bedrooms are accessed off the great room, while a guest quarters complete with kitchenette adjoins the family room with a corner kiva fireplace. 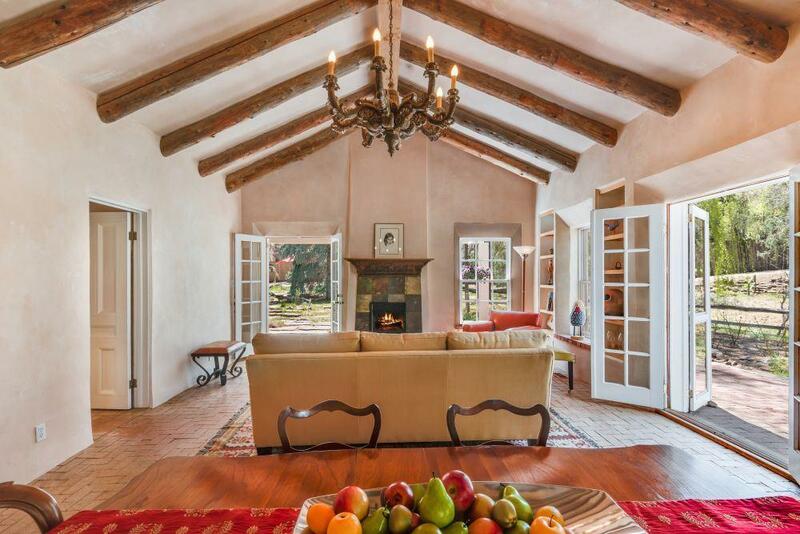 This unique property offers a magical opportunity to live in the Tesuque Valley. Assessments And Other Fees Coa Dues Are Assessed As Needed. There is No Monthly Or Annual Fee Collected At This Time.